Home > How can you measure the value of a webpage? 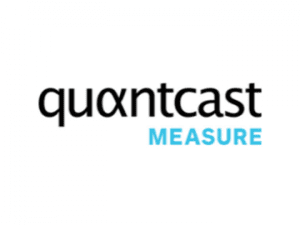 > What is Quantcast Measure? Quantcast Measure provides detailed audience and traffic measurement and analytics for a website, mobile app, network or platform with flexible audience segmentation. How is Quantcast Measure calculated? “nonquantified”-where Quantcast has no relationship with publisher. In this method Quantcast uses a population modeling technique to estimate the traffic of a website. “quantified”-where Quantcast has direct relationship with publisher.In this method the publisher will place Quantcast’s tag on their website so that Quantcast can directly measure every page view and determine the ranking. How does Quantcast Measure compare to other web metrics? How is Quantcast Measure different from Google PageRank? How is Quantcast Measure different from Alexa Rank? How is Quantcast Measure different from Compete Rank? How is Quantcast Measure different from MozRank? How is Quantcast Measure different from MozTrust? How is Quantcast Measure different from Moz Page Authority? How is Quantcast Measure different from Majestic Citation Flow? How is Quantcast Measure different from Ahrefs URL Rank? How is Quantcast Measure different from Ahrefs Domain Rank?